They say in business, getting customers is the hardest thing you will ever do. But once you have them, you need to maximise and get the most out of them. 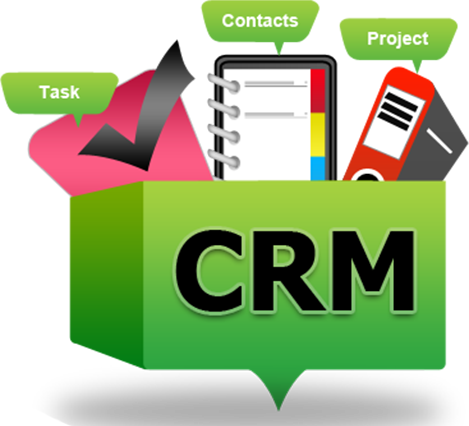 In order to do that you need effective customer relationship management and to do that with any kind of success you’re going to need a proper CRM application. Sure you might think it’s better to keep everything in your head but once you get a handful of customers you’ll find it a challenge. This article is not going to be a run through of all the best customer relationship management applications on the market plastered with fake reviews and affiliate links. No, this will discuss why you should be using them and the benefits available to you and your business in return for doing so. If you’ve never heard of cross selling you can read more about it but in a nutshell it’s the act of selling your existing customers a different product or service which is related to the product or service they’ve bought already. If you’re a web designer, you might try and sell your client a logo/branding design or if you sell glasses, you might also offer your customers cups etc. Typically cross selling is done to an existing customer list and there is really no better way to cross sell than via a CRM. All of the top CRM’s on the market have features that allow you to mail certain buyers with certain content so you can customise your mail to suit as opposed to the “shotgun approach” and mailing everyone about everything. Having access to everything you know about your customers can be a god send. Knowing their name, how to contact them, what they bought from you and when they bought it is invaluable information for cross selling and also follow up/product renewal techniques. Think if someone buying a box of 100 tea bags. If you’re able to contact them in a few weeks time to see if they’d like another 100 not only would they thank you for it but it’s also a fantastic way to turn a single order customer into a multiple order customer. A good CRM application would assist with this. By this, as touched on above, I mean retaining a customer so the next time they want the same product or service (or similar) they come to you. The first part of this is obvious, you need to offer a product or service they actually want to use again from you specifically but also you need to remain in their frame of mind so the next time they want it they don’t perform a new search and end up with a different firm. Regular updates as to what your company offers can help with this. Managing your customers is one thing, but it’s also nice to be able to predict the future – at least as much as you can. Pretty much all of the CRM applications on the market come with fantastic reporting and forecasting features. My favourite of which is Vtiger which will allow you to forecast based on your past sales and virtually predict if the trend will continue and what sort of revenue you’ll generate if it does. Of course there are lots more features than just forecasting. You can also report on periodic sales/revenue which is fantastic from an accounting standpoint. 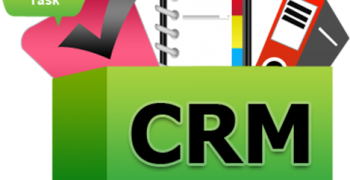 Hopefully after reading this you’ll be willing to give a proper CRM system a try! I guarantee you won’t regret it and your business will definitely be better for it. Getting an initial customer is hard work, we all know that. So if we can turn that customer into a multiple order customer or even someone who is willing to share or refer you we’ll most definitely reap the rewards for doing so.